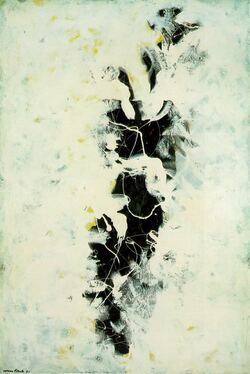 25 x 38 3/4 pouces (63,5 x 99,4 cm). 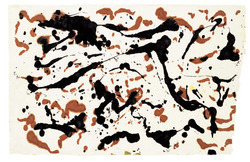 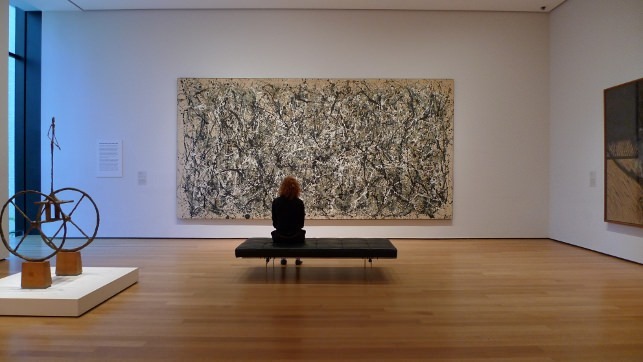 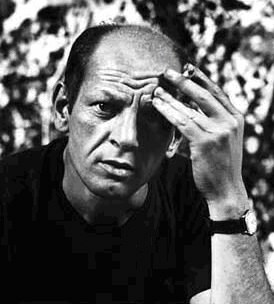 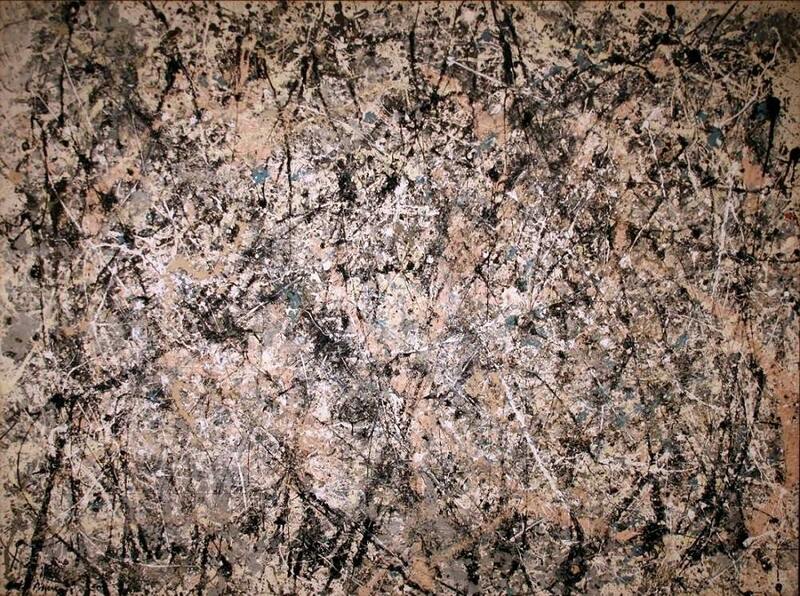 dans la mémoire de Jackson Pollock ..
D'autres œuvres sur papier sur ce lien. 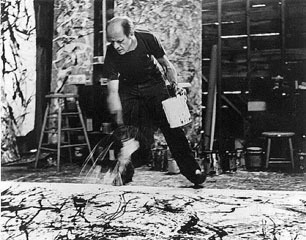 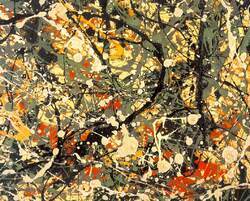 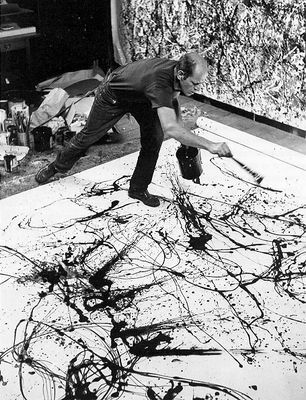 "Pollock's method was based on his earlier experiments with dripping and splattering paint on ceramic, glass, and canvas on an easel. 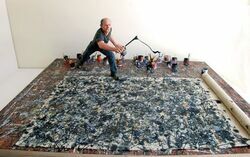 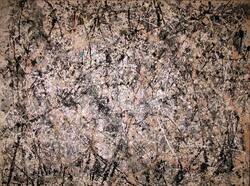 Now, he laid a large canvas on the floor of his studio barn, nearly covering the space. Using house paint, he dripped, poured, and flung pigment from loaded brushes and sticks while walking around it. He said that this was his way of being "in" his work, acting as a medium in the creative process. 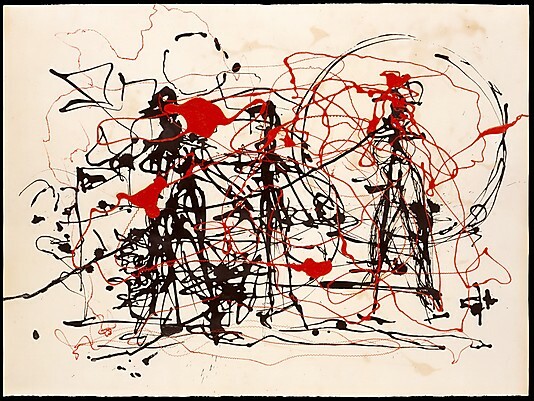 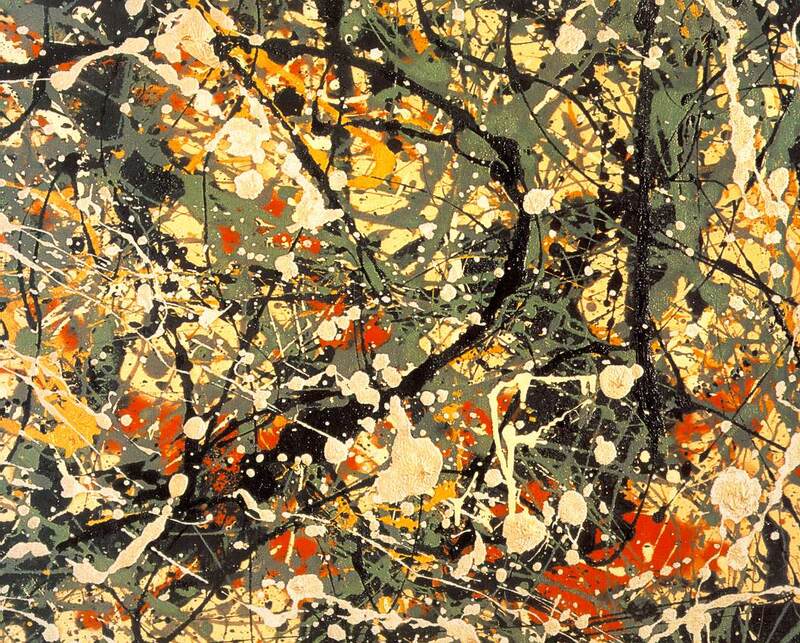 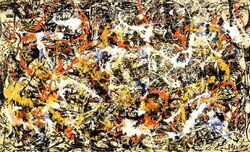 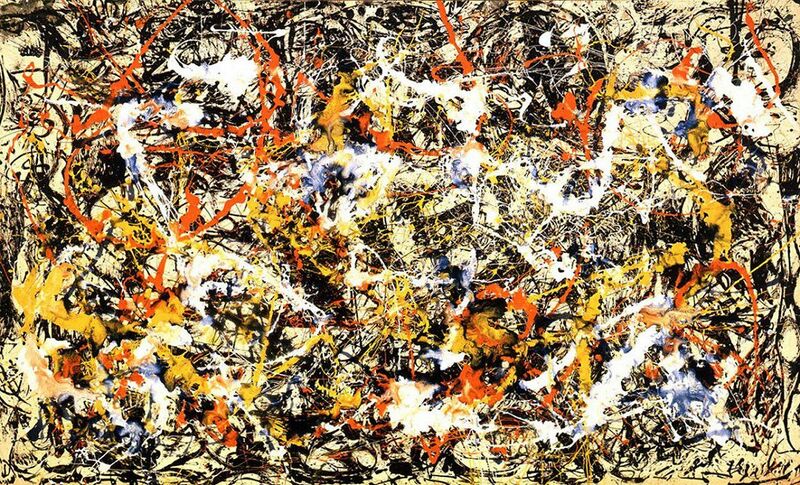 For Pollock, who admired the sand painting of the American Indians, summoning webs of color to his canvases and making them balanced, complete, and lyrical, was almost an act of ritual. 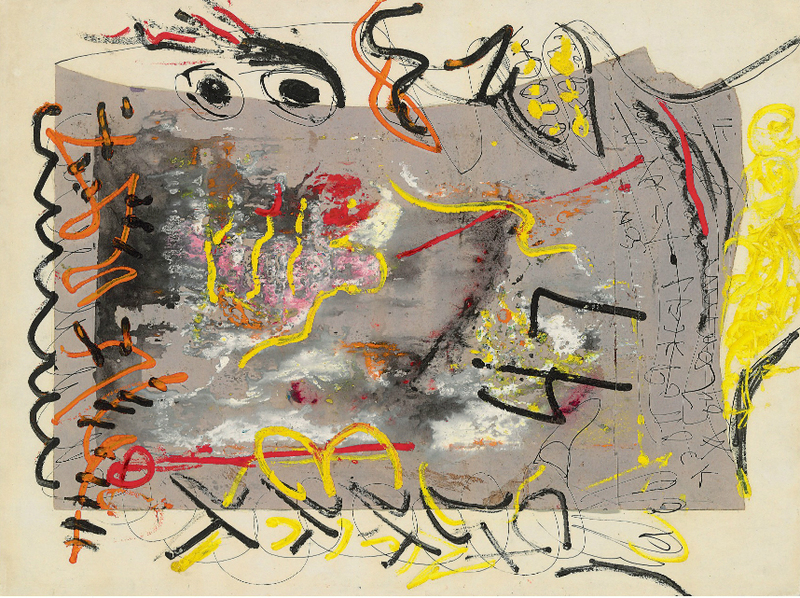 Like an ancient cave painter, he "signed" Lavender Mist in the upper left corner and at the top of the canvas with his handprints."